Christian Fish & Cross Necklace by Montana Silversmiths. 2" x 1 1/4". Click image to enlarge. This electroplated Christian Fish & Cross Necklace will not tarnish thanks to the legendary Montana Armor finish. Usually ships in 1 - 14 days. Handcrafted in Montana, USA. The Christian Fish Cross Necklace arrives in a nice gift box, ready for presentation or gift giving. Gift wrapping is also available (see above). The proprietary MONTANA ARMOR electroplate finish of Montana Silversmiths jewelry -- including the Christian Fish Cross Necklace -- will not tarnish. 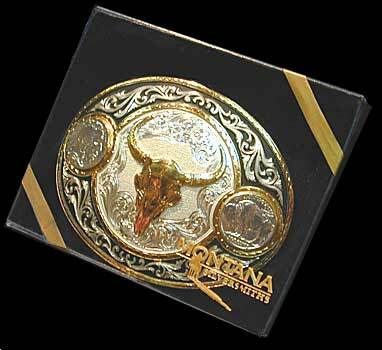 Montana Silversmith belt buckles are warrantied against defects and workmanship. 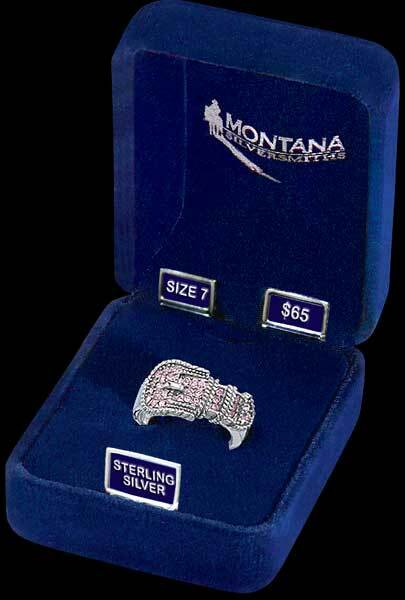 They are die-struck from hand engraved masters and finished with silver and gold electroplate and the state-of-the-art MONTANA ARMOR tarnish protection. These are true heirloom buckles, built for generations.